The American Visionary Art Museum is an art museum located in Baltimore, MD. This photo was submitted by an independent contributor. 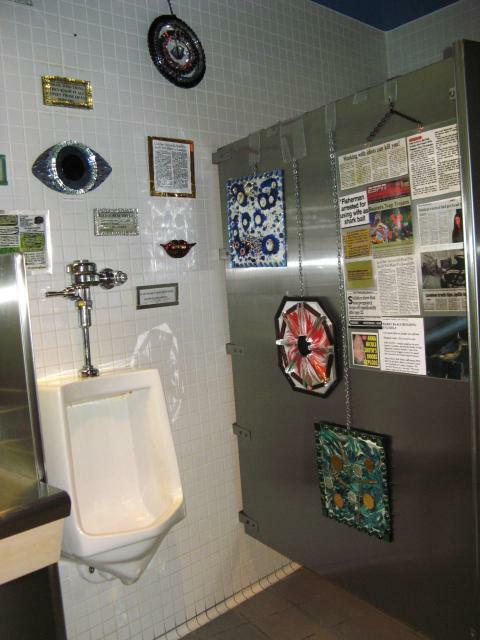 He writes: "The first is the third-floor mens room at the American Visionary Art Museum in Baltimore. Located at Baltimore's Inner Harbor, AVAM is dedicated to the celebration of "outsider art," which often includes the whimsical and bizarre. The rest room decor reflects this mission."